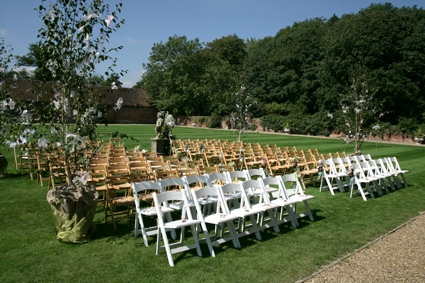 Each month we highlight one of the beautiful venues we have worked at or particularly love, in and around East Anglia. Leez Priory is a 450 year old Tudor mansion set in 40 acres of parkland complete with lakes, lawns and a sweeping driveway. It is hired out on an exclusive basis so you can be confident there will be no other wandering brides around. There are 5 areas licensed for civil ceremonies suitable for most sizes of weddings and each season including the 60ft high Tudor tower which has the serenity of a church, the wood paneled Great Hall or my favourite outside under the carriageway. Drinks and canapés take place in the courtyard if the weather is dry or inside if wet, incidentally the whole house is yours allowing guests to spread out amongst the many areas & rooms if you have to be inside. 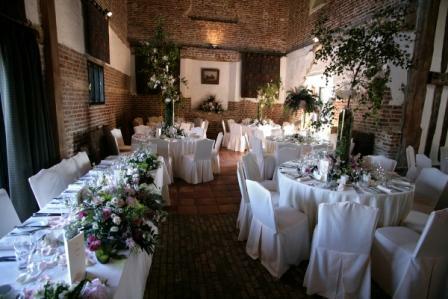 The wedding breakfast can take place in the oak paneled Great Hall for up to 80 guests or Coach House can seat up to 110 guests. For the evening there is a Medieval vaulted cellar complete with resident DJ. 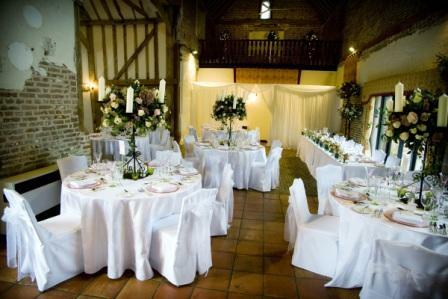 Leez Priory also has 15 bedrooms available to hire on the night of your wedding as well as a quaint cottage within the grounds which is reserved exclusively for the Bride and Bridesmaids the night before the wedding to relax and prepare for the big day. You also get the services of their in-house co-ordinators from about 12 weeks before the wedding, they are very organised and experienced as they organise weddings pretty much daily. Should you require a wow factor for your wedding or literally do not have time to organise an exquisite event give me a call to see if I am available. One of the weddings we organised at Leez is on our gallery or to review our services look here.